Welcome to Day #7 of Chocolate and Venezuela Theme Week. Are there milk chocolate bars that please the palettes of dark chocolate lovers? More specifically, can you still taste the flavor nuances of single origin cacao when there are high percentages of sugar and milk in a chocolate bar? Yesterday, I tried a 49 percent cacao Venezuela milk chocolate bar from Belgium. 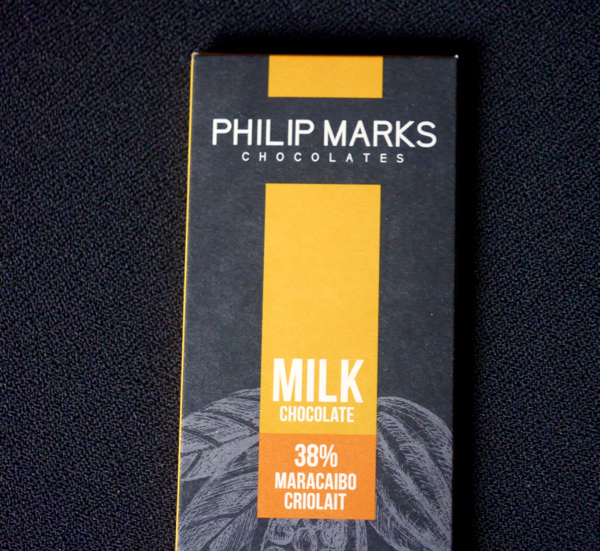 And today, I sampled a 38 percent Maracaibo Criolait Milk Chocolate bar* from Philip Marks Chocolates (Burlingame, CA). Today's milk chocolate bar had a sweet, caramel chocolate aroma, and a creamy, smooth melt and texture. 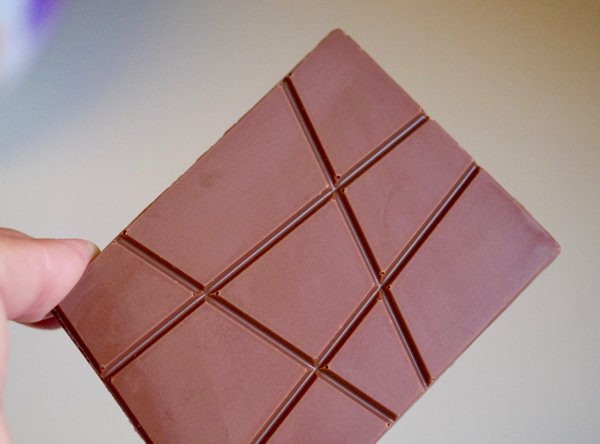 Surprisingly, for a 38 percent cacao bar, the chocolate did maintain a slight fruit flavor. The bar had a sweet finish that lingered a few seconds. 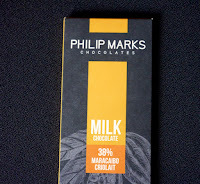 Philip Marks sources their chocolate from an unnamed high-end Swiss chocolate maker*, and uses "...Grand Cru couverture (chocolate) which is produced from pure single origin cacao." *Ingredients: "Cacao kernal, sugar, cocoa butter, skilled milk, whole milk, cream, emulsifier, madagascar vanilla"